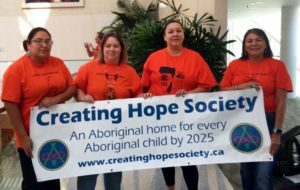 Creating Hope Society is a non-profit society established to recognize that the sixties and seventies child welfare scoop of Aboriginal children is a continuation of the Residential Schools era. We believe that it is time to halt the cycle of Aboriginal children being separated from their families and communities. 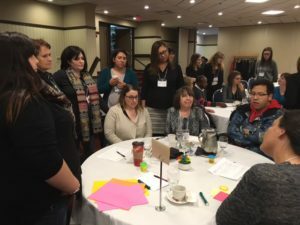 Creating Hope Society is carrying forward a healing process, commenced for Residential School survivors, to those who are products of a Child Welfare system that has perpetuated the legacy of the Residential Schools. 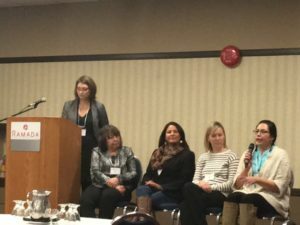 Our vision is to learn from the real life experiences of those who have survived the sixties and seventies scoop and create renewed hope for the third generation of Aboriginal children who are still being apprehended.